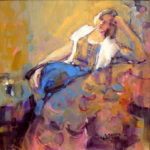 Donna Zagotta’s paintings have evolved from an early emphasis on traditional watercolor techniques and traditionally influenced realism to an unconventional use of the watercolor medium, the area that lies between realism and abstraction. 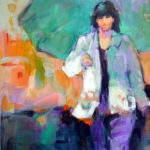 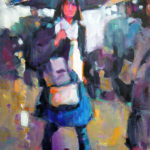 Donna has a passion for art history with a special interest in Modernism and finds inspiration in the work of Edouard Vuillard, Henri Matisse, and Richard Diebenkorn, master painters who were more focused on expressing color and spatial ideas than in rendering the particulars of subject matter. 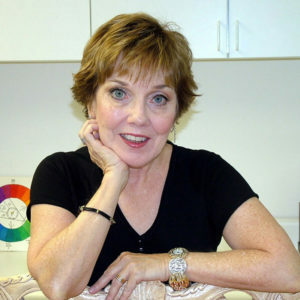 Active professionally for more than 20 years, Donna Zagotta is a nationally recognized artist, teacher, and juror. 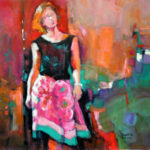 She has accumulated numerous awards including the first place awards in the 2005 Arizona Watercolor Association Exhibition and the 1997 Watercolor West Exhibition, the second place award in the 1999 National Watercolor Society Exhibition, and the Samuel Leitman Award in the 2008 and the Ogden and Mary Pleissner Award in the 2000 American Watercolor Society Exhibitions.